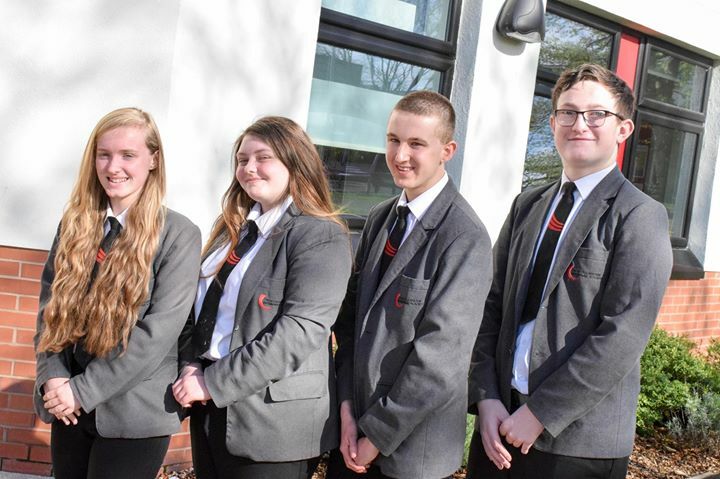 Four talented students from Ormiston Ilkeston Enterprise Academy have won places on a prestigious summer school at Oxford University. The summer school usually takes two students from each school but the selection panel was so impressed by the OIEA applications that they selected four students. Harmonie Penkal, Abigail Woods, Malachi Rigley and Dylan Wildgust, all 15, will stay in the university’s halls of residence for a week during August and experience workshops and social activities. They will have the opportunity to take part in academic sessions, debating, punting, critical thinking, quizzes, college tours and croquet. Harmonie said she was looking forward to attending the summer school. Fellow student Charlotte Turner attended the Oxford University summer school last year and has just taken part in an Easter programme at the university. The 16-year-old chose to attend sessions about History, Classics and Biology. She also attended workshops about dealing with exam stress and revision techniques. The summer school is run by a charity called Universify which is committed to educational equality. Its vision is for all students to reach their potential in education by helping students from non-traditional backgrounds to feel empowered and excited about fulfilling their potential at top universities.